After yesterday's report on Emtel Fixed Broadband (I'm still wondering where the 'fixed' part is), I did the same tests on Emtel Mobile Internet. 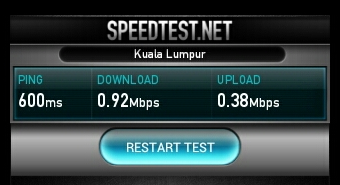 For this I'm using the Huawei E169G HSDPA USB stick, connected to the same machine. Actually, this is my fail-safe internet connection and the system automatically switches between them if a problem, let's say timeout, etc. has been detected on the main line. 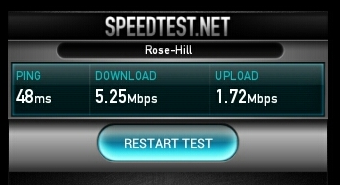 For better comparison I used exactly the same servers on Speedtest.net. As you might easily see, there is a big difference in speed between national and international connections. 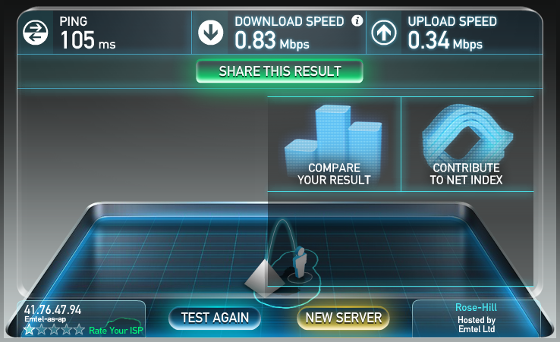 More interestingly are the results related to the download and upload ratio. 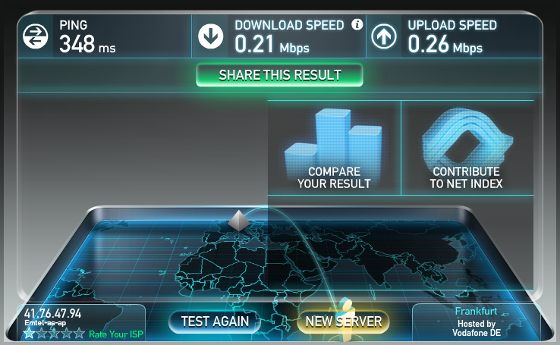 I'm not sure whether connections over Emtel Mobile Internet are asymmetric or symmetric like the Fixed Broadband. Might be interesting to find out. The first test result actually might give us a clue that the connection could be asymmetric with a ratio of 3:1 but again I'm not sure. I'll find out and post an update on this. After the publication of the test results on Fixed Broadband I had some exchange with others on Facebook. Sadly, it seems that there are really no alternatives to what Emtel is offering at the moment. 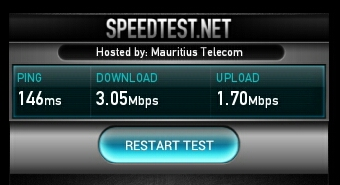 There are the various internet packages by Mauritius Telecom feat. Orange, like ADSL, MyT and Mobile Internet, and there is Bharat Telecom with their Bees offer which is currently limited to Ebene and parts of Quatre Bornes.